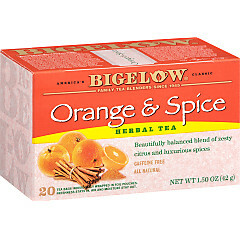 There’s nothing like that surge of flavor that comes from biting into an orange, and Bigelow Tea has captured that taste in two tea blends. 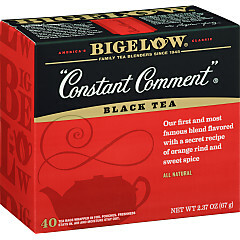 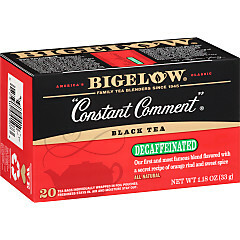 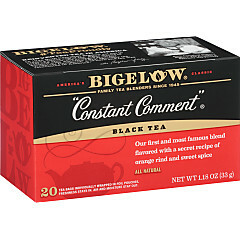 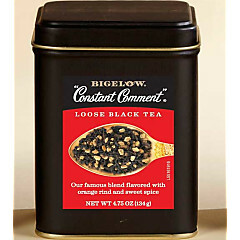 Both “Constant Comment”®,—Bigelow Tea’s very first blend created three generations ago by Ruth Campbell Bigelow—and Orange and Spice herbal tea combine the tasty citrus fruit with sweet spice. 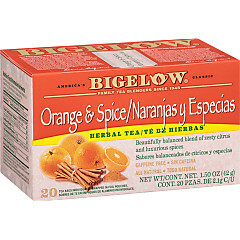 Real orange rinds are in the tea bag!